Details: This module will help you learn to identify and deal with potential conflicts of interest. Details: This module covers the topic of Suitability as it applies to a Mortgage Broker's application for license or renewal. Details: An introduction to contract law for mortgage brokers. 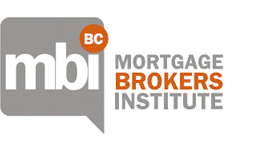 Details: This module is to explain what constitutes mortgage brokering activity under the Mortgage Brokers Act (the Act), and when a person will require registration under the Act in order to perform those activities. Details: This module covers the investor/lender disclosure statement. Details: This module covers name requirements, web site use, misleading information, MBA requirements, BPCPA requirements, false advertising and false statements. Details: This module covers record keeping bulletin, client files/contents, office files, electronic records, confidentiality, who owns records/files, duties around record keeping, privacy issues.